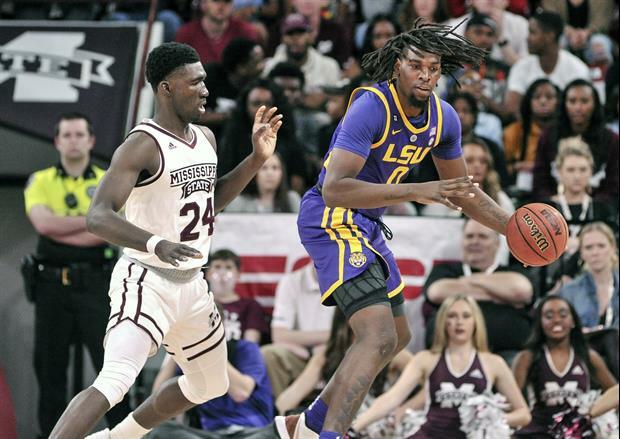 Per LSUSports.net: STARKVILLE – The LSU Tigers prevailed late in a 92-88 win against Mississippi State Wednesday night in the Humphrey Coliseum. The Tigers trailed most of the game, but came back late to tie the game and force overtime. Naz Reid hit a three to seal the game for LSU in overtime. With the win, the Tigers improve to 18-4, 8-1 in SEC, while the Bulldogs fall to 16-6, 4-5 in SEC. Up Next: LSU will host Auburn at the PMAC on Saturday, February 9 at 1 p.m. CT on ESPN2. Came away with a win on the road against a very quality team on a night where we were shooting like arse and turning the ball over a lot. That was a great win! Great road win, keep charging Tigers! Fun team to watch. I would like to see them play a whole game, I don't think too many teams would beat them. This team has so much potential. I think we are on the verge of something special.